A Trove of Dungeon Fantasy Treasure! 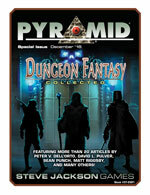 For years, the third volume of Pyramid has provided GURPS Dungeon Fantasy players with cutting-edge material for their own crypt-crawling campaigns. 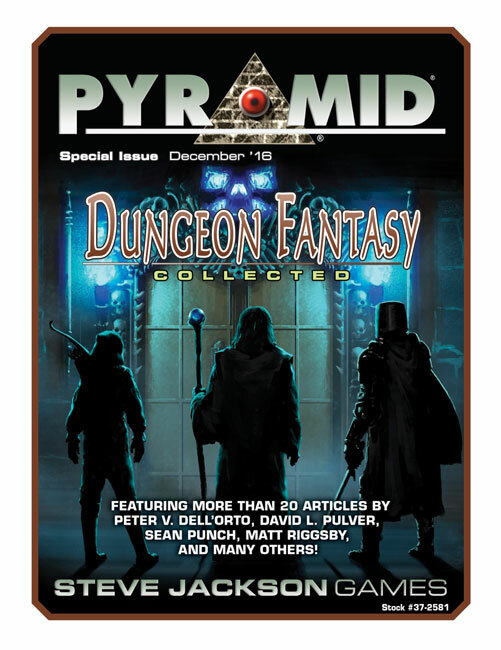 This compilation collects Pyramid articles which have appeared outside of the Dungeon Fantasy- and Alternate Dungeons-themed issues, but are of particular interest to Dungeon Fantasy gamers. It includes over 20 articles taken from issues 10, 13, 19, 25, 38, 43, 47, 48, 56, 58, 61, 64, 68, 70, 75, 77, 78, 80, and 82. This is a direct compilation, without updates or changes. Follow the complete GURPS Dungeon Fantasy line for even more dungeon-crawling fun. Check out what's been released in the past and present for Pyramid . . . and subscribe today to keep up with the future of gaming!